Difference between revisions of "What were the impact of the military reforms of Marius on Rome?" The Roman general and politician Marius was one of the most important figures in the Roman Republic. He was a controversial figure during his own lifetime and his contributions have been fiercely debated since then. Many historians have argued that he helped to save the Roman Republic and laid the foundation for an army that was almost invincible for centuries. The Roman general and politician Marius was one of the most important figures in the Roman Republic. He was a controversial figure during his lifetime, and his contributions have been fiercely debated since then. Many historians have argued that he helped to save the Roman Republic and laid the foundation for an army that was almost invincible for centuries. Marius's reforms also had important social-political implications and he dramatically expanded citizenship in the Republic. Still, his reforms changed the nature of the Roman army which weakened the democratic nature of the republic. These reforms allowed generals to take control of Rome with their armies. Because of his reforms, the legions of Rome increasingly came under the control of ambitious leaders such as Pompey or Sulla. The Marian reforms that were initiated during a crisis, became an important factor in the decline and the fall of the Roman Republic and the rise of the Imperial system in Rome. Marius's reforms also had important social-political implications, and he dramatically expanded citizenship in the Republic. Still, his reforms changed the nature of the Roman army which weakened the democratic character of the republic. These reforms allowed generals to take control of Rome with their troops. Because of his changes, the legions of Rome increasingly came under the control of ambitious leaders such as Pompey or Sulla. The Marian reforms that were initiated during a crisis became an essential factor in the decline and the fall of the Roman Republic and the rise of the Imperial system in Rome. Rome in 100 BC was a fast-growing power. Originally, Rome was only a small settlement on the Tiber. However, by force of arms, it was able to expand its power across much of Italy. The defeat of the Carthaginian Empire meant that Rome no longer had any serious enemy in the Mediterranean. The city-state’s armies were the most formidable in the region, and they created a huge Empire. The Roman army was made up of citizens, and they supplied their arms and armor. Wealth and slaves flowed into Rome. Gaius Marius was born about 157 BCE in Arpinium in central Italy. His family was of Equestrian status and they were very influential in the local district. They had important political connections in Rome, especially with the powerful Scipio family. Marius joined the Roman army at an early age and he was essentially a military man. He served under Scipio in Numantia and became a military tribune and later a quaestor. It appears that the Scipio family acted as the patrons of the young Marius and this greatly helped his career<ref>Holland, p. 113</ref>. Marius later married Julia the aunt of Julius Caesar. He later served as an officer in Rome’s war with the North African king Jurgutha. This war was to make the reputation of Marius as a soldier and a general. Marius was eventually given command of the army in the war against Jurgutha and he proved to be a charismatic leader with real military talent.<ref>Plutarch. <i>The fall of the Roman Republic</i> (London, Penguin Books, 1987), p. 145</ref> He developed a new strategy to deal with the king and soon captured him. During his time in North Africa, he began the first of his reforms of the military which were technically illegal. Marius was very concerned with the reluctance of citizens to enroll in the army and the declining number of recruits available to Rome. <ref>Plutarch, p. 145</ref> Marius was later elected one of Rome’s two consuls and he was elected to that office an unprecedented seven times. He was associated with the Populares and his policies were often informed by the need to help the urban and the rural poor. In 105 BCE, while he was consul he was sent to deal with a military threat from the far north. The Cimbri and Teuton tribes from modern Scandinavia were migrating towards the Mediterranean. They defeated a Roman army that was sent to repel them and they seemed to be on the verge of overrunning Italy and Rome. Marius was faced with a crisis there were simply not enough citizens to fill the ranks of the army.<ref>Plutarch, p 145</ref> It was at this time that he enacted radical reforms in the army and they became known as the Marian reforms. Marius later married Julia, the aunt of Julius Caesar. He then served as an officer in Rome’s war with the North African king Jurgutha. This war was to make the reputation of Marius as a soldier and a general. Marius was eventually given command of the army in the war against Jurgutha, and he proved to be a charismatic leader with real military talent.<ref>Plutarch. <i>The fall of the Roman Republic</i> (London, Penguin Books, 1987), p. 145</ref> He developed a new strategy to deal with the king and soon captured him. During his time in North Africa, he began the first of his reforms of the military which were technically illegal. 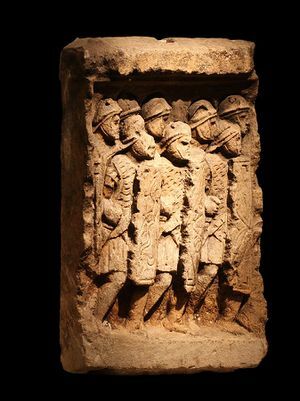 Marius was very concerned with the reluctance of citizens to enroll in the army and the declining number of recruits available to Rome. 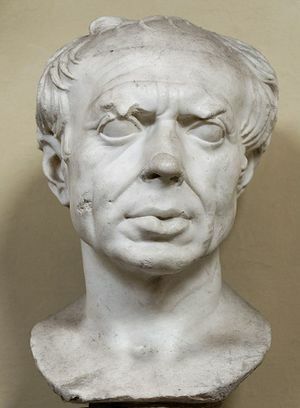 <ref>Plutarch, p. 145</ref> Marius was later elected one of Rome’s two consuls, and he was elected to that office an unprecedented seven times. He was associated with the Populares, and his policies were often informed by the need to help the urban and the rural poor. In 105 BCE, while he was consul, he was sent to deal with a military threat from the far north. The Cimbri and Teuton tribes from modern Scandinavia were migrating towards the Mediterranean. They defeated a Roman army that was sent to repel them, and they seemed to be on the verge of overrunning Italy and Rome. Marius was faced with a crisis there were just not enough citizens to fill the ranks of the army.<ref>Plutarch, p 145</ref> It was at this time that he enacted radical reforms in the military and they became known as the Marian reforms. In 102 BC, the Germanic tribes, who had invaded Gaul, decided to launch a full-scale attack on Italy. Marius had thoroughly reformed the army, by this time. Fortunately, for Marius, the invaders split into two groups, and this allowed the Roman general to demolish them in separate battles. Marius had saved Rome and was the leading figure in Rome for some time. A Marius tried to introduce land reforms that would have benefitted the poor, but the Senate blocked them. He did not prove to be a capable politician, but he remained popular with the poor. The most important of the Marian reforms was the opening of the army to those who had no property. Previously only those who had land or wealth could join the army. Marius because of the shortage of manpower in the Rome recruited even the landless poor. This was strictly against the law and many conservatives opposed Marius efforts. However, such was the threat from the Cimbri and The Teutones that Marius was able to get his reform passed. There was a problem with recruiting the poor in that they did not have the resources to purchase their arms and armor., Marius arranged for the Roman state to provide them with arms and equipment. The soldiers would also be paid and this made joining the army very attractive for the many landless peasants who had lost their lands because of the expansion in the estates of the rich. The most important of the Marian reforms was the opening of the army to those who had no property. Previously only those who had land or wealth could join the army. Marius because of the shortage of manpower in Rome recruited even the landless poor. This was strictly against the law, and many conservatives opposed Marius efforts. However, such as the threat from the Cimbri and The Teutones that Marius was able to get his reform passed. There was a problem with recruiting the poor in that they did not have the resources to purchase their arms and armor., Marius arranged for the Roman state to provide them with arms and equipment. The soldiers would also be paid, and this made joining the army very attractive for the many landless peasants who had lost their lands because of the expansion in the estates of the rich. The reforms of Marius did not only change the army they also change Roman society, over the longer term. Marius was a member of the popular party, and he was always keen to advance the interests of the common people. Marius undoubtedly strengthened the army as a fighting force. He ensured that for many centuries that the Roman army would not experience any manpower shortage. His reforms also ensured that the Roman soldier was the most professional and well-trained in the Classical World. The Roman army became a standing army and this meant that Rome could respond to any threat quickly. The Romans always had an army that was well-trained and experienced and this was a critical factor in the expansion of the Empire. However the newly established army was more loyal to their generals than to the Senate and the people of Rome.<ref> Holland, p. 189</ref> The generals of the armies were responsible for providing for the equipment and the retirement bonuses loyalty of the legionnaires. The general would often extend his command to secure the rights and the rewards of his soldiers. The legionary owed more allegiance to his general and commanding officer than to the state. Marius undoubtedly strengthened the army as a fighting force. He ensured that for many centuries that the Roman army would not experience any manpower shortage. His reforms also ensured that the Roman soldier was the most professional and well-trained in the Classical World. The Roman army became a standing army, and this meant that Rome could respond to any threat quickly. The Romans always had an army that was well-trained and experienced, and this was a critical factor in the expansion of the Empire. However, the newly established army was more loyal to their generals than to the Senate and the people of Rome.<ref> Holland, p. 189</ref> The generals of the armies were responsible for providing for the equipment and the retirement bonuses loyalty of the legionnaires. The general would often extend his command to secure the rights and the rewards of his soldiers. The legionary owed more allegiance to his general and commanding officer than to the state. This allowed many generals to take control of legions and to use them for their purposes. Again, and again, over the last century of the Roman Republic, generals such as Pompey had de-facto control of much of the army. This was very destabilizing. This is evident from the fact that there were a bloody series of civil wars.<ref> Julius Caesar, <i>The Civil Wars</i> (London, Penguin Books, 1998), p. 14</ref>. No sooner had the reforms been implemented that a never-ending series of wars took place. Marius military reforms were undertaken during a period of crisis. They were in response to an invasion of Italy by German tribes. Marius created a standing army, permitted the enlistment of the poor and provided retirement benefits for veterans. He also reformed the organization of the army. These all allowed Marius to defeat the barbarian invasion. The army that he created drove the expansion of the Roman Empire for years to come. The changes made to the Roman army had profound social and political consequences as it led to more citizens from outside the traditional elite and the granting of lands to retired soldiers was crucial in securing conquered provinces and in their Romanization. However, Marius reforms had some unintended consequences as it resulted in soldiers owing more loyalty to their general than to the state. This led to years of instability and plunged the Roman Republic into decades of civil wars. These were only ended with the fall of the Roman Republic and the emergence of Augustus as the first emperor. Marius military reforms were undertaken during a period of crisis. They were in response to an invasion of Italy by German tribes. Marius created a standing army, permitted the enlistment of the poor and provide retirement benefits for veterans. He also reformed the organization of the army. These all allowed Marius to defeat the barbarian invasion and the army that he helped to create was to drive the expansion of the Roman Empire for years to come. The changes made to the Roman army had profound social and political consequences as it led to more citizens from outside the traditional elite and the granting of lands to retired soldiers was crucial in securing conquered provinces and in their Romanization. However, Marius reforms had some unintended consequences as it resulted in soldiers owing more loyalty to their general than to the state. This led to years of instability and plunged the Roman Republic into decades of civil wars. These were only ended with the fall of the Roman Republic and the emergence of Augustus as the first emperor. However, the victory over the Carthaginians and the growing wealth of Rome created problems and eventually led to a crisis in the Roman Republic. The government of Rome was designed to govern a city-state and not an Empire. Increasingly, the Roman Senate was unable to control the governors in the provinces who acted like independent sovereigns. The political system of Rome was unable to effectively govern an Empire. Rome’s wealth led to increased social divisions, and the city was divided between the elite, the Optimates, and the popular party, Populares. The common people of Rome, including many citizens, were experiencing economic decline as slave labor in the cities and on landed estates resulted in many small farmers and traders going bankrupt. There was also tension between Rome and its Italian subjects who wanted a greater say in the Empire and citizenship. Rome had become the predominant power in the Mediterranean, but it was a volatile society with a political system on the verge of collapse. Gaius Marius was born about 157 BCE in Arpinium in central Italy. His family was of Equestrian status, and they were very influential in the local district. They had important political connections in Rome, especially with the powerful Scipio family. Marius joined the Roman army at an early age, and he was essentially a military man. He served under Scipio in Numantia and became a military tribune and later a quaestor. It appears that the Scipio family acted as the patrons of the young Marius and this greatly helped his career. Marius later married Julia, the aunt of Julius Caesar. He then served as an officer in Rome’s war with the North African king Jurgutha. This war was to make the reputation of Marius as a soldier and a general. Marius was eventually given command of the army in the war against Jurgutha, and he proved to be a charismatic leader with real military talent. He developed a new strategy to deal with the king and soon captured him. During his time in North Africa, he began the first of his reforms of the military which were technically illegal. Marius was very concerned with the reluctance of citizens to enroll in the army and the declining number of recruits available to Rome. Marius was later elected one of Rome’s two consuls, and he was elected to that office an unprecedented seven times. He was associated with the Populares, and his policies were often informed by the need to help the urban and the rural poor. In 105 BCE, while he was consul, he was sent to deal with a military threat from the far north. The Cimbri and Teuton tribes from modern Scandinavia were migrating towards the Mediterranean. They defeated a Roman army that was sent to repel them, and they seemed to be on the verge of overrunning Italy and Rome. Marius was faced with a crisis there were just not enough citizens to fill the ranks of the army. It was at this time that he enacted radical reforms in the military and they became known as the Marian reforms. Later he became involved in a series of civil wars with the Roman politician and soldier Sulla, leader of the aristocratic faction. Marius during the wars was able to seize Rome but was later expelled by Sulla. He later returned to Rome, while Sulla was in the east and took control of the city once again but died soon afterward in 86 BCE. This meant that the army did not have lengthy supply lines and massive baggage trains but was instead very mobile and flexible. Marius believed that morale was essential in the military and he offered the ordinary soldiers and men retirement benefits. These were usually in the form of land for the common soldier and money for officers. Upon retirement, a soldier could expect a parcel of land usually in some newly conquered territory. One of the most significant reforms of Marius was that he granted citizenship status to many Italians. 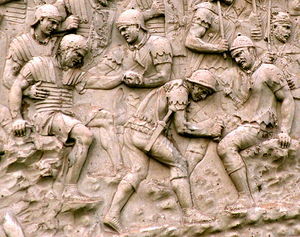 Any Italian who fought in the Roman legion was automatically granted the citizenship of Rome. The reforms of Marius were widely adopted, and they shaped the Roman army right down to the 3rd century AD. Because of his reforms, the poor could join the army for the first time, and this provided them with opportunities that allowed them to rise in society. Marius by allowing many Italians to become citizens changed the nature of Rome, and it became less of a city-state and rather the capital of Italy. The ability of many Italians to become citizens did much to strengthen Rome over time. Then Marius, by providing retiring soldiers with land from conquered territories, strengthened Rome’s control of the provinces by moving former Roman soldiers to these new provinces. Retired soldiers often formed colonies in newly conquered territories, and they helped maintain Rome's hold on newly conquered lands. These colonies also played an important part in the ‘Romanization process’, whereby provincials adopted Roman practices and cultural norms. However, the newly established army was more loyal to their generals than to the Senate and the people of Rome. The generals of the armies were responsible for providing for the equipment and the retirement bonuses loyalty of the legionnaires. The general would often extend his command to secure the rights and the rewards of his soldiers. The legionary owed more allegiance to his general and commanding officer than to the state. This allowed many generals to take control of legions and to use them for their purposes. Again, and again, over the last century of the Roman Republic, generals such as Pompey had de-facto control of much of the army. This was very destabilizing. This is evident from the fact that there were a bloody series of civil wars.. No sooner had the reforms been implemented that a never-ending series of wars took place. The Roman generals became more important in Roman politics, and they often used their armies to intimidate the Senate. Commanders such as Sula were able to impose their will on the Roman political system. Increasingly, power shifted from the Roman senatorial class to the commanders in the field. The Roman Republic was in crisis as a result, for many decades. Roman generals often used their forces to further their political ambitions as was the case with Julius Caesar. The establishment of a standing army led ultimately to the destruction of the Republic. The bloody civil wars were only ended by the creation of the Imperial system under Caesar and his grand-nephew Augustus. 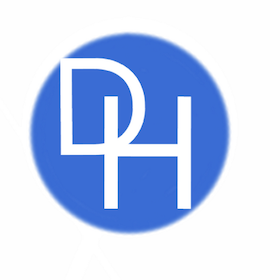 This page was last edited on 14 January 2019, at 02:06.